I love K-Beauty products, especially skincare because most of them worked on my skin. 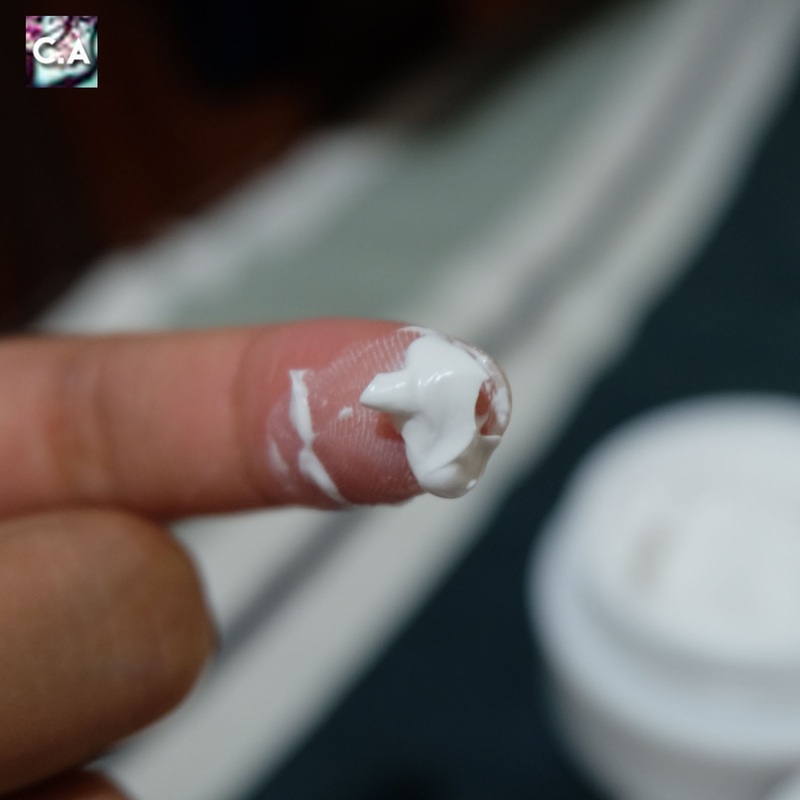 Today, I'm so excited to review one of the G9 Skin Korea products, which is G9 Skin White in Whipping Cream. Before I start reviewing, let me tell you something quick about G9 Skin. G9 were named because of the 9 ingredients that formulate with anti-city pollution skincare concept. The ingredients help to purify and protect the tired skin to become a clean and healthy skin. The 9 ingredients are 'Lotus extract, Ivy extract, Eucalyptus extract, Hibiscus extract, Chlorella extract, Pine Sprout extract, Oregano Leaf extract, Green Tea extract and Chia Seed extract'. Yes! All this goodies elements are inside each of their wide range of products. I hope that quick and simple explanation about the brand will make you wonder about the products. Since it have tons of beneficial ingredients, I really hope it will work well. 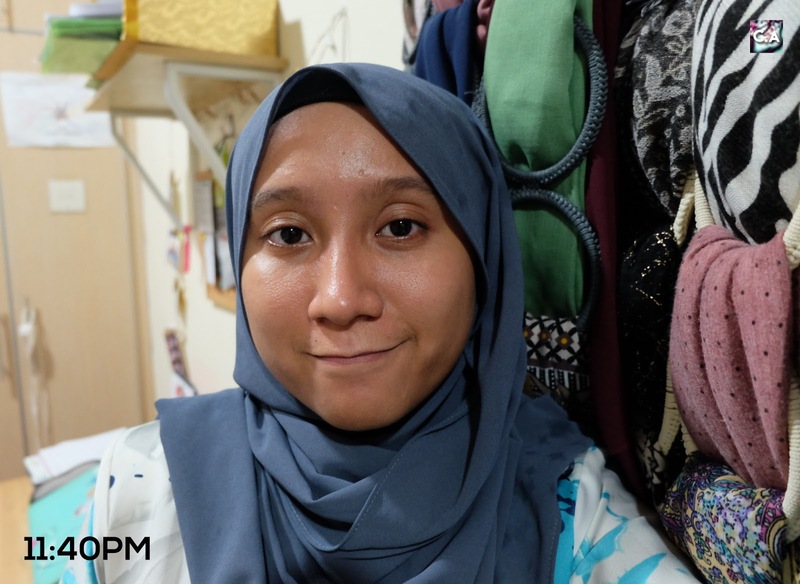 On the first day of Raya, I decided to try this out and put this item to the test. I was all about taking a risk and trying out every product efficiently, so I will try to explain to you accordingly. This cream claim to have a soft whipping texture, which I am 100% agree about it and it doesn't feel sticky. But it was hard to get the product on my finger since its kind of watery/slippery. I heard it rich with Hyaluronic acid for hydration, so maybe that may be the cause of it. Make sure to put a good amount on your skin. If you put too much, you will end up looking really pale. Applying the product on my face. After I do all my skincare routine (cleanser, toner, moisturizer and sunscreen), the cream set on my face around 9:00 AM. Since I heard that this product is good as a makeup base, I used it before I put on my primer, concealer, compact powder, and blush. 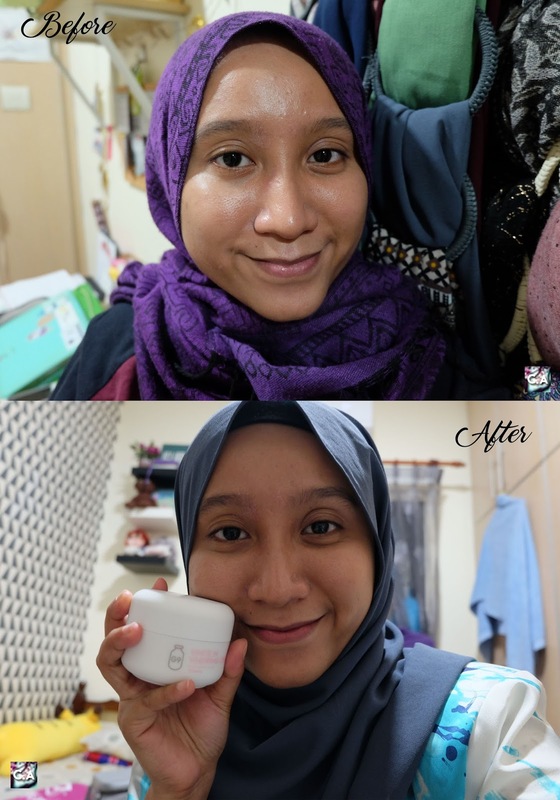 So, this is basically my first day trying out the cream with makeup, I also trying out the product on second day but without makeup. Before and After on 1st Day Trial with Makeup. Blurring effect as I wear the makeup. It does what it claims which are whitening, brightening and moisturising. I feel quite oily but I didn't do any touch up, as I just pat my face with tissue only. 4:55 PM update on the cream, the brightening effect has gone! 10:11 PM update on the cream. 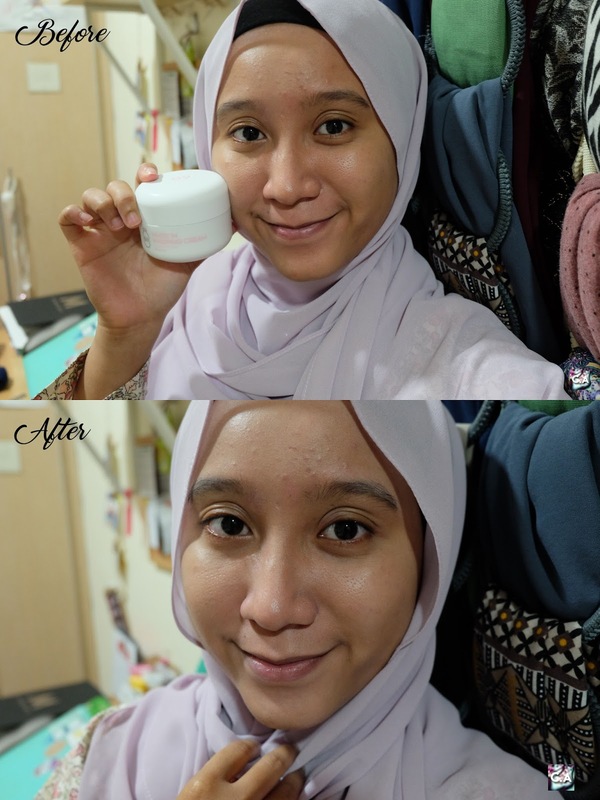 As you can see on the both pictures above, my face become oily and I didn't touch up my face with the cream because I want to see how it react to my skin. At first, I thought I feel moisturise at a time but as I touch it, it feels really oily. If you want to wear makeup, I think this is the options for you to try before putting all the foundation, concealer and such because it give that blurring effect. Without wearing any makeup, I'm going to put this cream to the test. 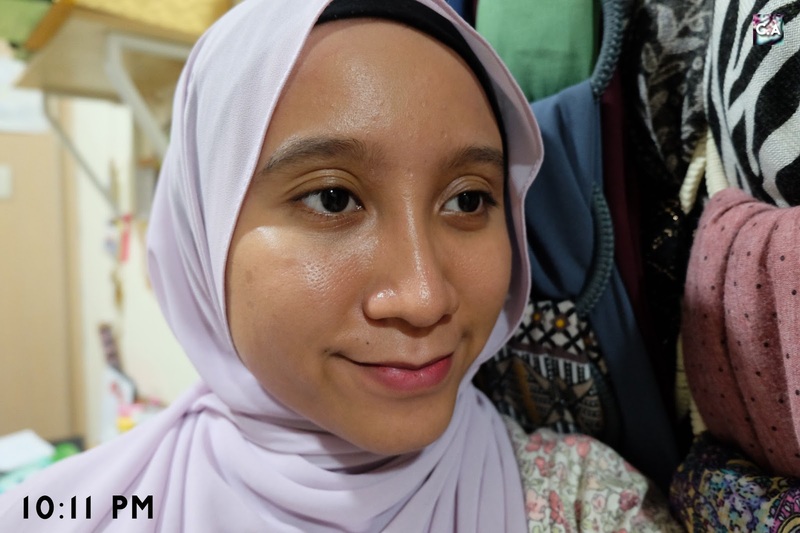 Since on the first day it was quite 50-50 feedback because I'm wearing a bit of makeup and maybe it doesn't give the pure results as it was mix with other products as well. 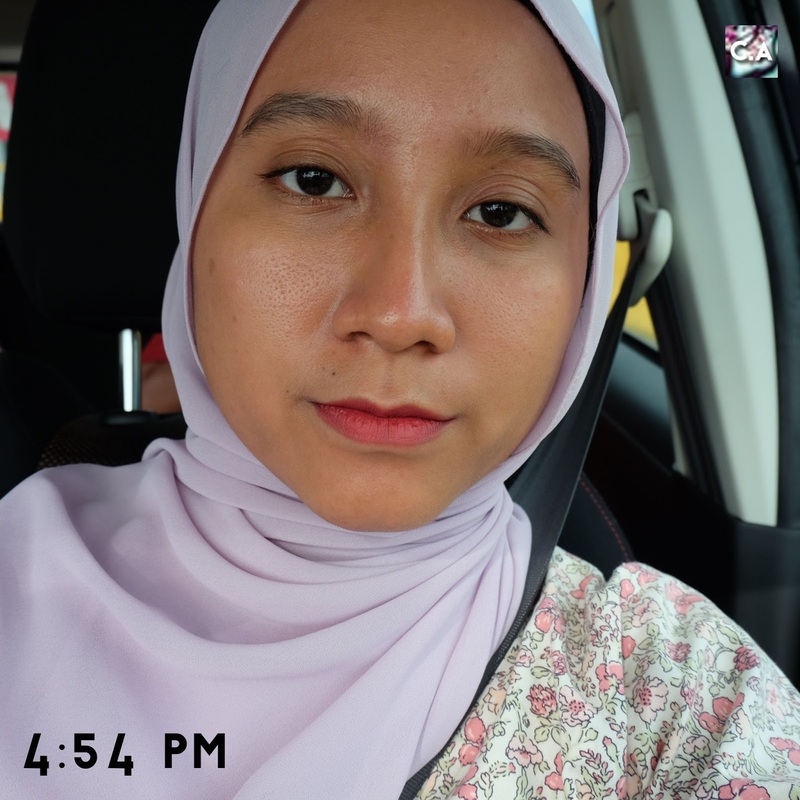 So, I start wearing the cream on 3.40 PM until 11:40 PM (8 hours) which a bit short than yesterday because I went out to beraya around that time. Before & After. It does give that whitening effect! I'm not sure whether its the cream, makeup or my skincare but my skin is drying out a little bit on my right eyebrow and my nose. So, when I put on the cream it shows the residue on the effected area. So, I suggest you double moisturise your dry skin before putting on the cream to get that blurring effect working out. I do realised that this cream does cover up my under eye and makes my face feel alive. If you are tired this cream does the works. After good 8 hours, the cream started to worn off and it was back to basic again. My skin doesn't look white and as you can see it was a bit oily. But, not as much as the first day. 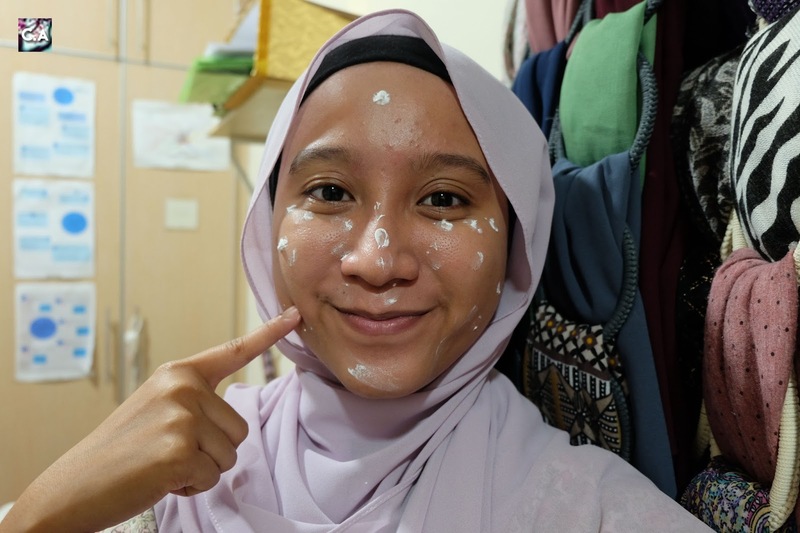 If you want me to compare which work better, I can't pick which day because I need to wear this for couple of times (at least 1 month) to decide whether the product is worth to repurchased or not. But, it was worth to try because besides face, the cream can be applied on discoloured are such as knees, elbows and others. So far, all I can say are the whitening effect doesn't last long and my face is oily after few hours of using it (CONS). But, it does help when I'm wearing the makeup for that blurring effect. I will used this consistently after my face getting better since it was breaking out a little bit and I'm not sure what is the caused of it. Kudos to the team because they made a really cute packaging 'milk box' that I can play around and get creative when I'm taking pictures. The amount of the product its quite a lot too and I'm guess it can last around 1-3 month since all you need is just one good swipe with your finger. It will be a little bit hard to get the product with you finger, and I suggest you to used sponge or beauty blender and it will make the work a little bit easier. Till then, that's all for the review! I hope you like this post and make sure to leave a comment below which product should I review next. Have a blast day lovely people!